Review "The Scene is Set: Ubaid". 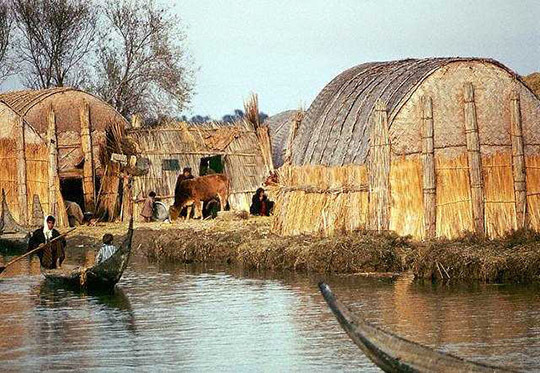 Marsh Arabs Image credit: Nathan Bauman. 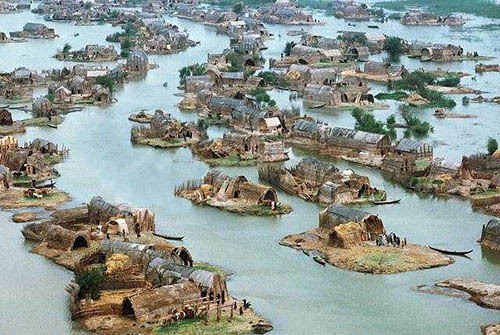 These images of a Marsh Arab floating village of reed houses are from a web site called "Scribol". The site includes a map showing the destruction of the marsh.Visit the site.